I promised myself I wasn't going to read Chuck's column on World Net Daily. Well, I lied. And I wish I could take it back. If you recall awhile back everybody was talking about the awesome website "Chuck Norris Facts" that presents all the cool things you needed to know about Chuck Norris. Things like, "Chuck Norris is so fast, he can run around the world and punch himself in the back of the head." 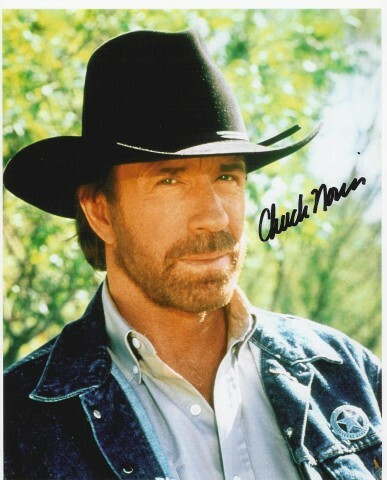 (FYI, going onto Chuck Norris Facts to find that example just reminded me of how awesome that website is). When I saw a column on World Net Daily where Chuck mused on what it is like to be the biggest thing to hit the internet since MySpace, I made the mistake of reading it. Chuck uses "Chuck Norris Facts" to springboard into his opinions on evolution, salvation, and Jesus (Jesus, good, denying evolution, bad). Chuck Norris has ruined Chuck Norris for me. The Chuck Norris who writes for World Net Daily is clearly not the Chuck Norris who "Counted to Infinity-twice". I guess the Chuck Norris I was trying to emulate doesn't exist. I'm going to go home today and throw out my "WWCND?" bracelet and start shopping for a new hero. Applications can be submitted as "comments". I just read his own column on his internet popularity and now my heart is broken. Chuck Norris, why? You have taken away the facts in which I had placed all my faith: your stupendous super-hero abilities and evolution - gone in one article!